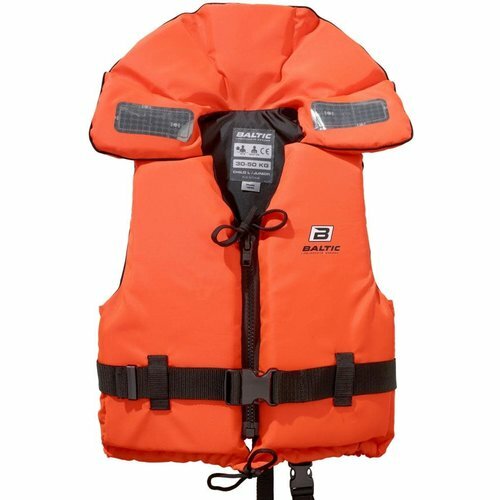 A vighly visible life jacket that has split front panels to provide a better fit aswell as retro reflective patches, a whistle and a lifting handle under the collar. Elsewhere on the life jacket is a nylon front zip, adjustable waistband and top and bottom ties. The 15-30kg jacket has more foam on one side at the front to speed up the turn over time.